First day of Spring in San Francisco started with some Spring showers at Hyegraph Invitations & Calligraphy. Spring showers mean pretty cards & stationery from Crane & Co. It’s always fun writing a little note or receiving one in the mail. My teenage daughter and her cousins started to correspond regularly by mail from San Francisco to Boston. At first neither one were even aware of purchasing stamps and the correct envelopes nor each other’s addresses. After the first notes they got the hang of it. Now, we get little notes with heart stickers on the envelopes, fun pictures with drawings inside. No matter what year we’re in, communication via mail has a special place. This is the only way to actually send physical objects and not mere images. 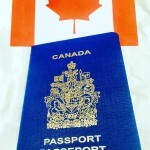 Soon, my daughter and niece will be taking the plane to visit. They are making plans and have to-do lists, places to visit and fun activities to share. Although this young generation of teens face-time daily, they’ve found that sending each other notes with words of inspirations via mail adds an anticipation and physical reminder of their relationship and care for each other. I am sure when they do get together their time will be marked by postcards and scrapbook archiving the time spent together. Here are some fun notes from Crane & Co. you can pick up this Spring and all year round at our little store at the Embarcadero Center location. 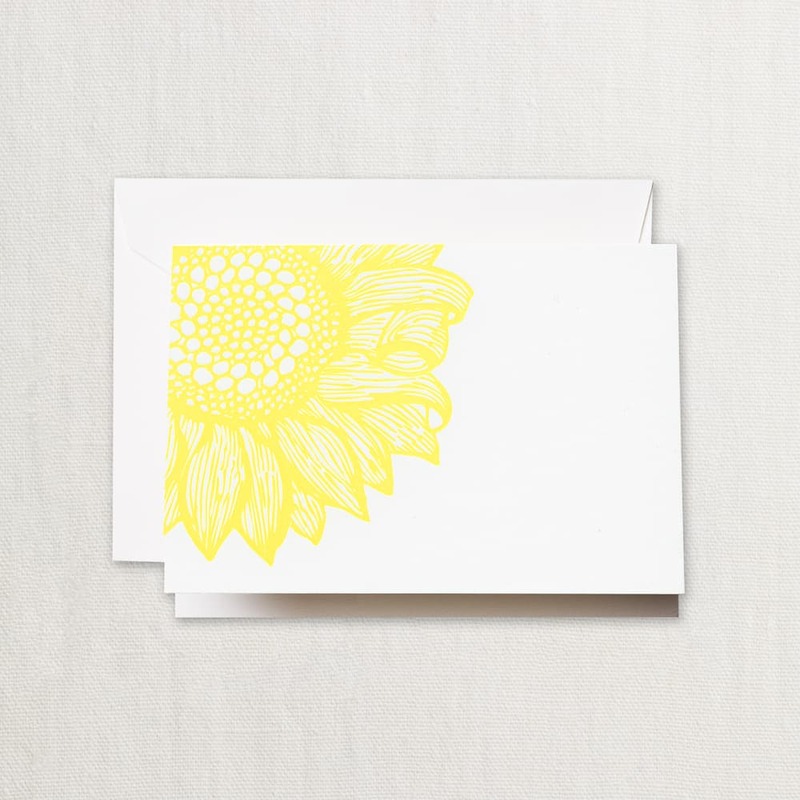 The above bright yellow, letterpress sunflower note card from Crane & Co. was a hit on facebook and instagram when we posted it. It’s festive, fun and inspiring for writing a note to a friend or colleague. 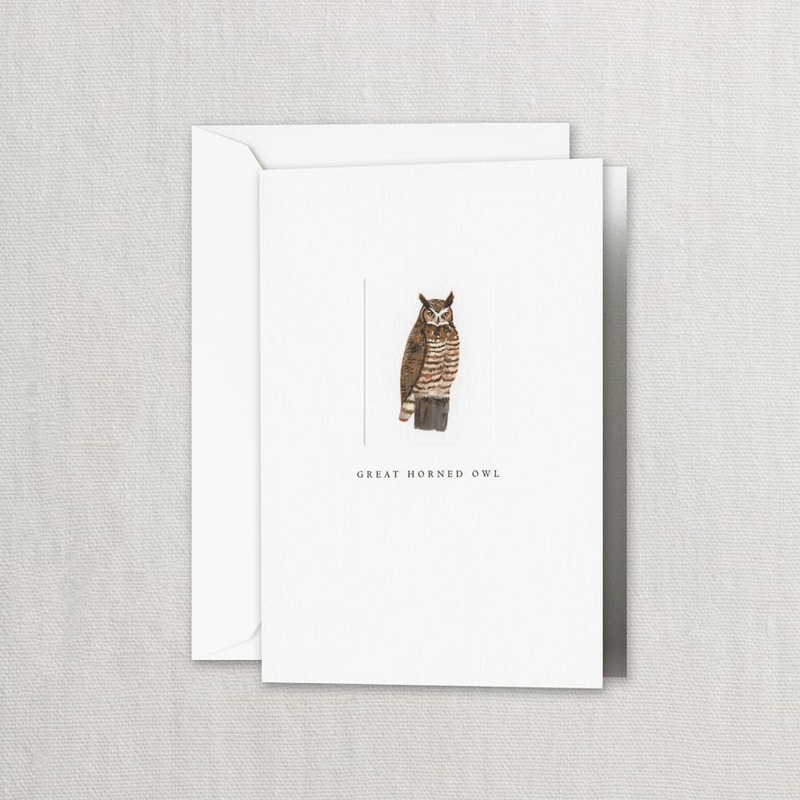 The above Great Horned Owl Note Card from Crane & CO. is another favorite, teenagers love it and it’s a trend can be found almost on anything including, pajamas, purses, back packs, candles, bookends, etc. It’s another fun motif and inspirational to write a quick fun note for someone close and dear. All the above cards from Crane & CO. along with many other styles can be found at Hyegraph Invitations & Calligraphy in San Francisco. 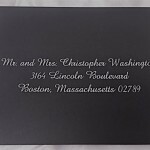 Check out our site www.hyegraph.com for more stationery ideas, see our blog and join us on facebook. You can view and order our Crane & Co. business stationery, and Crane & Co. Personalized Stationery in our store at 3 Embarcadero Center, San Francisco,CA. We are located right in the center of the financial district.